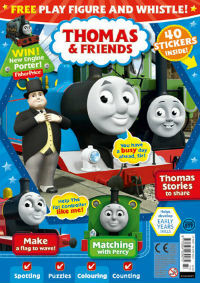 Charles and Adam were asking about different Thomas holidays trains like the Christmas train, Easter train, and Halloween trains currently available. 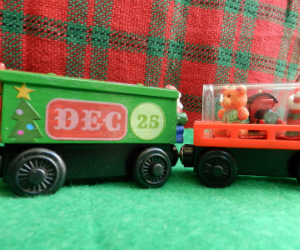 After searching for other holiday Thomas wooden railway trains we found these Custom Made wooden railway cargo cars which are Made in the USA and Hand Crafted by a Grandmother of nine and Great-Grandmother of one, and she has five of her own children too. As a retiree these are made in limited quantities so don't wait. 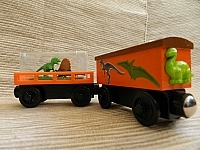 These custom wooden theme cargo cars are Made with Love. They are wonderful keep sakes and she refers to them as Memory Keepers. The inspiration behind these wooden and hand painted treasures is her grandson Brett who is four years old. He enjoys helping his grandma build these trains. Brett, like Charles and Adam has a very large collection of Thomas trains numbering over 300 which consists of Take Along and Trackmaster trains! 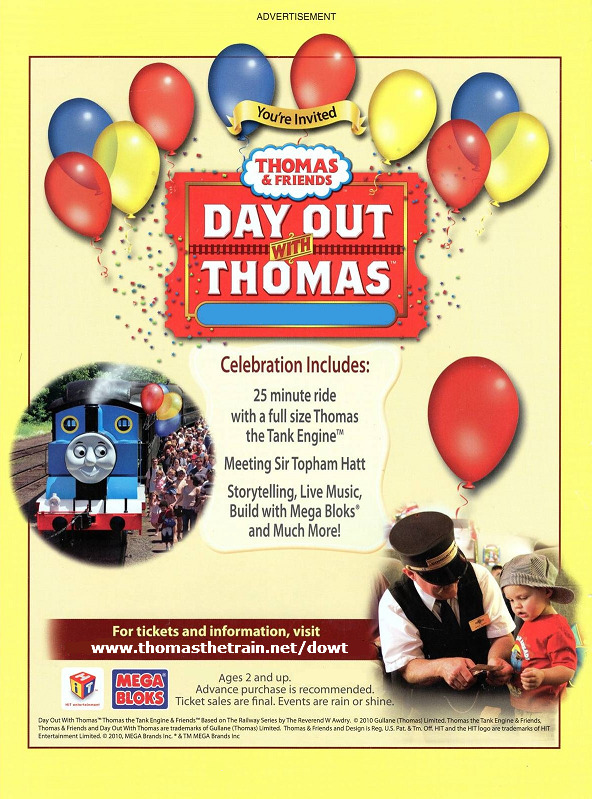 A true Thomas the train fan and little engineer. 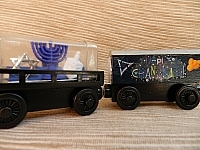 Please consider supporting her and look at the wonderful one of kind wooden railway cargo cars she creates that celebrates everything from Christmas, Hannukah train, St Patrick's Day Trains, Halloween, Mexican Fiesta and every holiday or special occasion you can imagine. A wonderful and unique birthday gift, order your custom special train today with your child’s name on it or company. She spends a lot time crafting each wooden cargo set and these are typically sold in pairs, so you get two trains with each order. 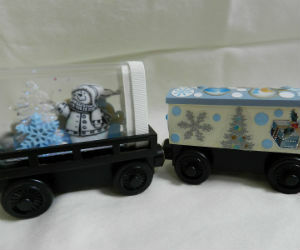 Adam's favorite Memory Keeper are the Snowmen & Snowflakes series. These are so festive and charming. These toys are clearly unique, colorful and detailed all by hand. They don’t make toys like this anymore! Create a memory for that special child and order a Memory Keeper today. 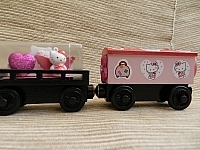 These are priced between $21.95 and $24.95, made with love and the attention to detail and creativity makes these wonderful keep sake trains. 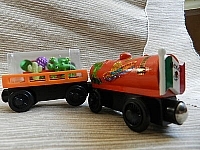 These toys fit on Thomas wooden railway tracks and Brio wooden railway tracks perfectly. 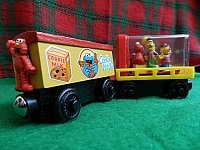 Order a custom wooden railway cargo set today, just in time for the holidays. 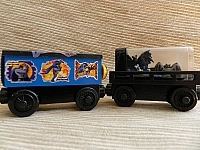 These toys are only available on eBay presently and remember their one of a kind. Look for the seller id: melodye5551. Order today! Huge Lot Thomas Brio Wooden Railway Trains Track Bridges 150+ Pieces Very Nice! New lot of 24 Thomas & Friends wooden trains singles & doubles! huge Value!! !